There may be no phone booth more iconic than the blue police call box we all know as the TARDIS, but there is no reason to try and remake phone booths into things that are more interesting than your run-of-the-mill box, is there? I am not sure if phone booths still exist in all cities of the world, but I am pretty sure that there is still at least one in your area. It may not work. It may look totally worn down. But there should be at least one in the vicinity. 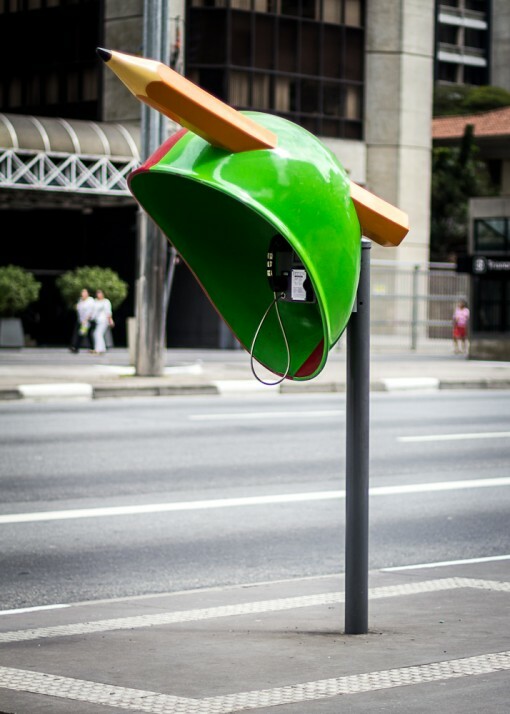 But if you live in the city of São Paulo in Brazil, you will have more than one phone booth. And you will definitely take more than a second look at them. 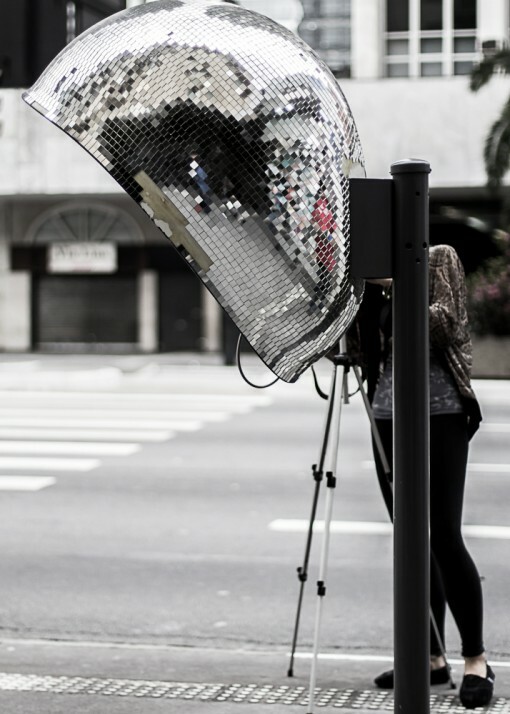 That is, if they are part of the Call Parade phone booths project. 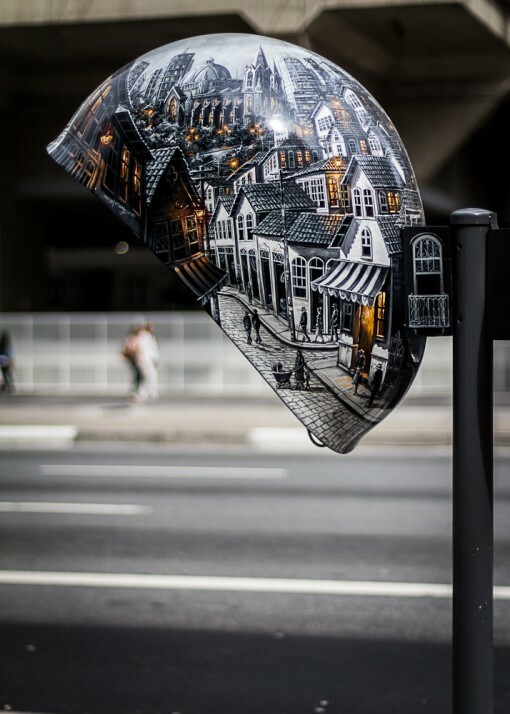 More than a hundred artists participated in a project to liven up the streets of the South American city. 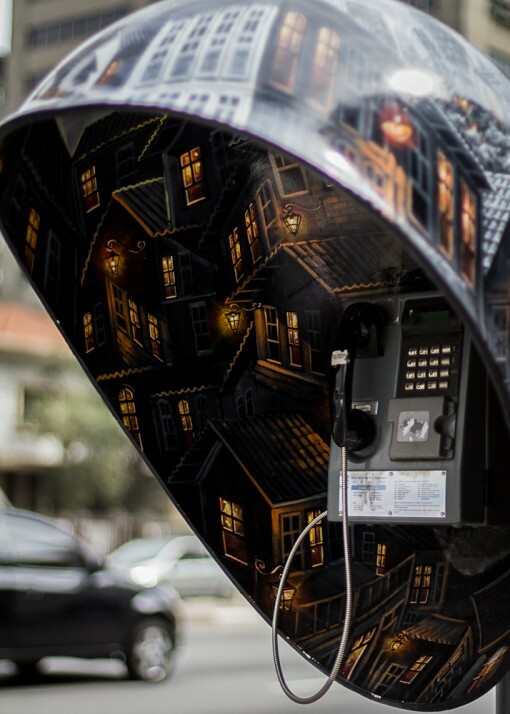 The Call Parade phone booths project aims to connect the artists and the public. Apparently, in Brazil, phone booths still abound. That is not to say that they are all in top condition. That being said, the Call Parade phone booths are the products of really creative minds, and I dare say you will not find such visually stimulating phone booths anywhere else in the world. That image above, for example, astounds the viewer from the outside. Imagine being “inside” and making a call! This one reminds me of photo and video shoots, although I could be totally wrong. It can also make one want to hit an 80s-style disco establishment, if that’s your kind of thing. And if it’s color and funky shapes that get your interest, this phone booth you will appreciate. Now what does this phone booth remind you of? 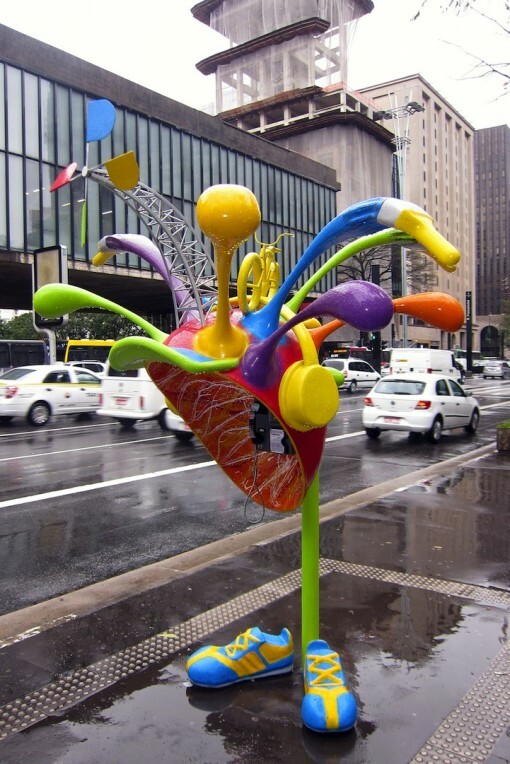 I don’t know about you, but the Call Parade phone booths concept is a great way to put art out there and brighten up drab cities. Then again, the pessimist realist in me can’t help but wonder how long till the eye candy gets trashed by elements human and natural alike. Hi, thanks for helping us to spread the Call Parade and the Brazilian arts! I painted one of the phone booths and I’m proud to be selected to participate in this project. My pleasure. The project is awesome! Which one did you paint?